Tis the season for gift-giving! And while Santa is preparing his presents for the kids, you should have plenty of time for the rest of the family - including your pets! Let your dog or cat know how much you love them, by giving them one of these exciting gifts this holiday season! Ball Thrower What could be better than a never-ending supply of balls to play with? For your loyal, playful and energetic dog a ball thrower might just be the perfect gift. Plus, it’s a win-win You can relax, while the thrower keeps your pet happy and energetic. Here is something a little more practical. While some dogs love bath-time, others make it a real battle. Just attach the dog washer to an outdoor hose and bathtime becomes fun time! And again, there is an advantage for you - no more cleaning the bathtub after your doggy’s shower. Comfort is key, and your dog is no exception. After all that holiday joy, your pup will need some place warm, cuddly and soft where they can lay for rest. A memory foam bed offers exactly that. If you have a couple of pets, consider buying a larger bed that they can share and help each other stay warm. Seeing your lovely pets sleep soundly together will help you sleep better too. Yes, we are worried about your dog’s health and no, this isn’t a smoking gift! 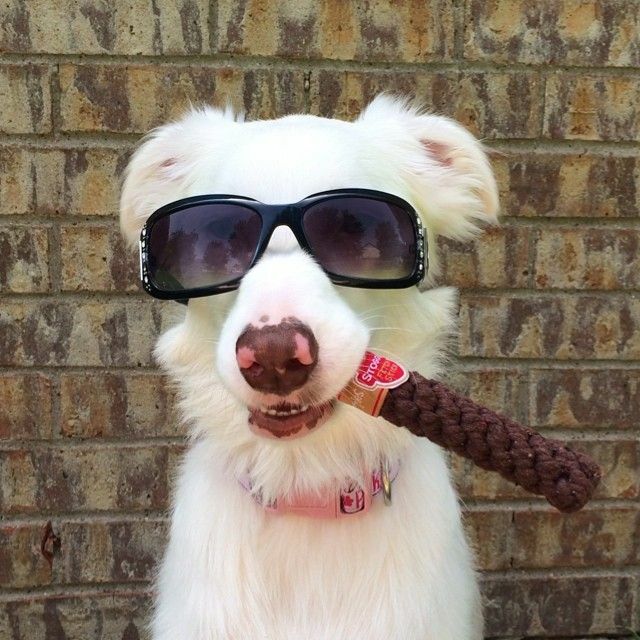 Instead, doggie cigars are really good chew toys. The real benefit is that they still look good lying around the house, even after your dog has had a go at them. With this unique dog bowl, drinking water for your dog will be much easier. Just attach the bowl to a hose pipe and it will refill as needed. You pup will never again be thirsty and you’ll never have to feel bad that you forgot about the water bowl. This gift is true perfection. 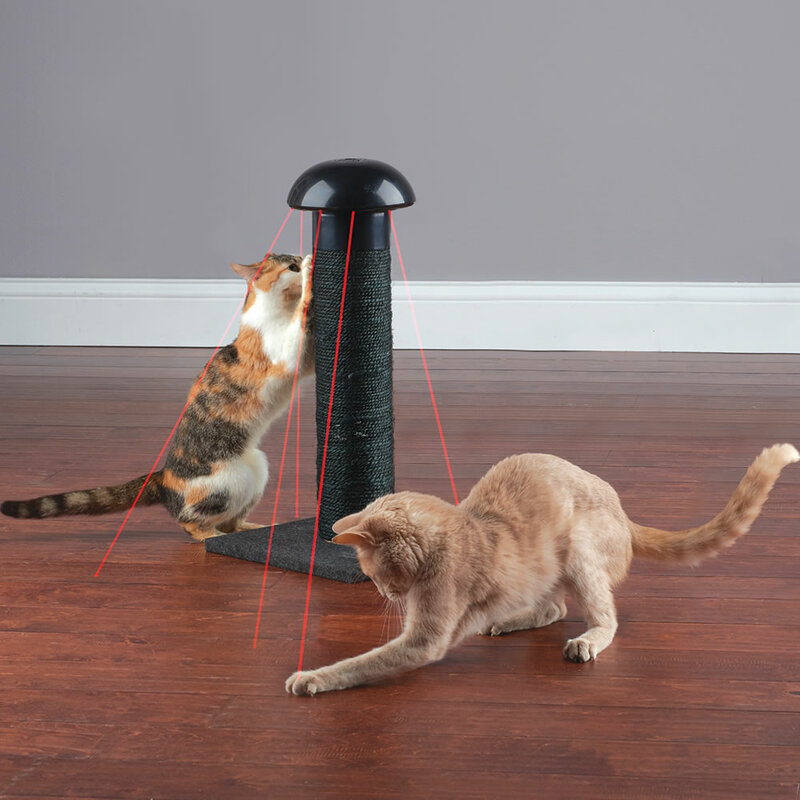 The laser chasing scratching post allows your cat to sharpen their claws without using your furniture. The lasers also provide immensely fun play time for the cat. Remember how your feline friend loves cuddling? This facial massager will take the pleasure to the next level. This rolling machine was initially built for humans. But apparently cats love it too! 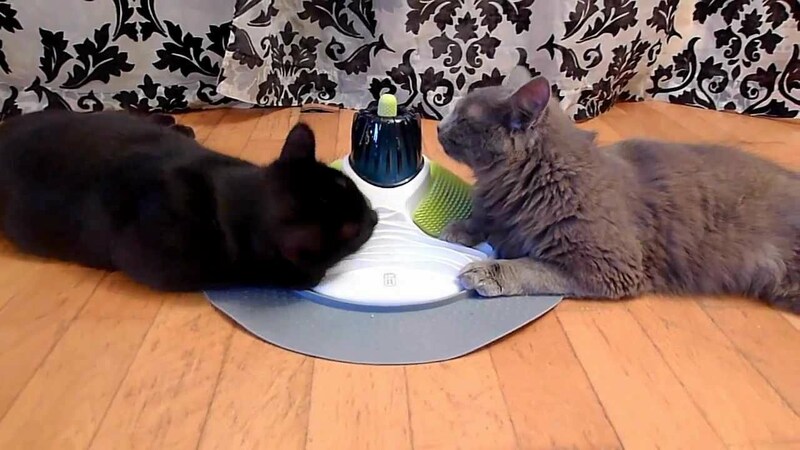 Your cat will have a splendid time in a Kitty trance. If you’re not feeling the face massager, the massage center makes for an excellent solution. Basically, it’s an in-house spa for the cat that allows it to pamper itself all day by rubbing, walking around and chewing the different zones that the station has. However, this should not be a substitute for pet and owner time, even though it does a pretty darn good job. It’s the Christmas season. It also happens to be one of the coldest times of the year, which makes it the perfect time to pamper your cat with a heated bed. And if you can get your hands on a waterproof version, you can use it both inside and outdoors! On a more serious note, you never want to lock your cat out. But, they love being outdoors so much! With a digital slip door, you never have to worry about your furry friend again. 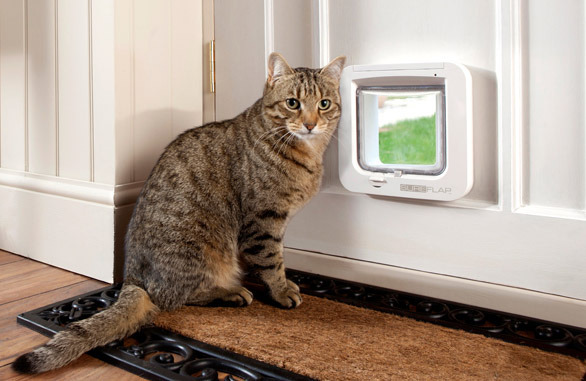 The door lets in pets by relying on a special microchips, so it will keep your cat safer and pests like racoons out of the house.